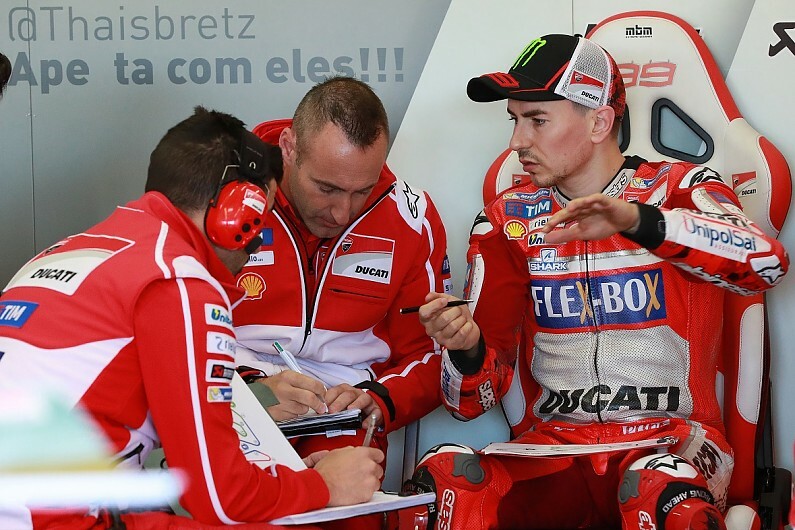 A repeat of this year's winless MotoGP campaign would be "unacceptable" for Jorge Lorenzo, his Ducati crew chief Cristian Gabarrini has suggested. Lorenzo endured a tough learning season with the Italian marque, taking only three podiums and for the first time since his rookie 250cc season in 2005 failing to score a single victory. He also took his lowest-ever MotoGP championship position, seventh, while team-mate Andrea Dovizioso challenged Marc Marquez for the title. "The goals are changing as time goes by," Gabarrini, who engineered Casey Stoner to the MotoGP title with Ducati in 2007, told Autosport. "At the beginning of the season we focused on Jorge's confidence with the bike. "Later he had to be always in the top five, and finally, he had to fight for the victory no matter the race or the conditions. "At the last races he was there, and with two more rounds we would have confirmed it. "If next year we find the same problems as in 2017, we won't have any excuses. "Another season like that one would be unacceptable." Gabarrini said that despite the work Lorenzo has put in to adapt to the characteristics of the Ducati, he has maintained the "essence" of his smooth, high-corner speed riding style. "Jorge has been able to adapt his style to take benefit of the strong points of the new bike," Gabarrini added. "He put a lot of effort into doing things that didn't come naturally order to be fast. "With the Yamaha he knew how the bike would react at any moment and he had to learn the same with the Ducati. "That said, he hasn't lost his style, his essence. He only has adapted it".